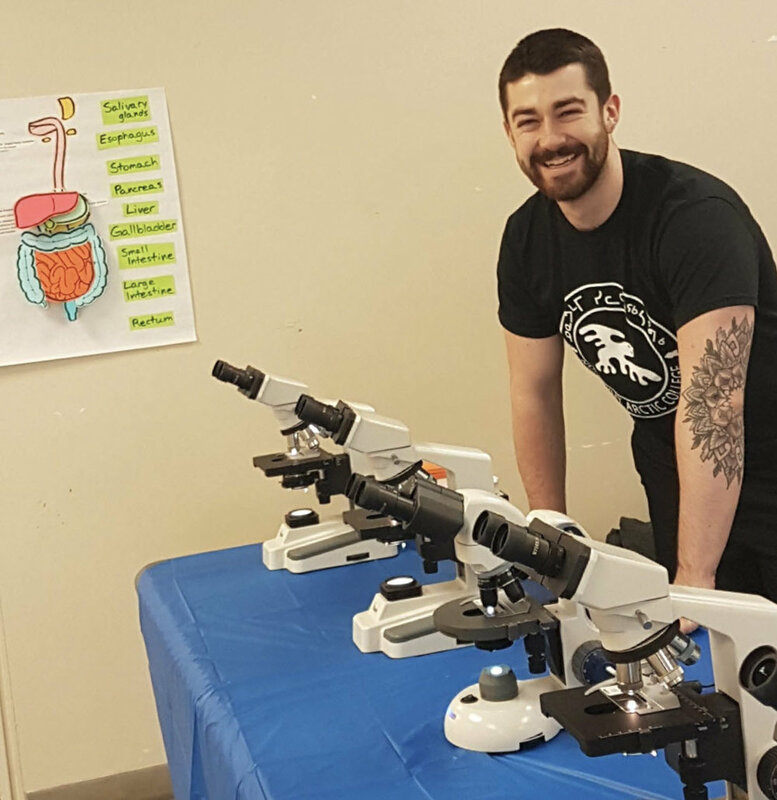 Iqaluit, NU.- The first year learners of the Nursing Program created an interactive science booth for the Annual Inuksuk High School Science Fair in Iqaluit. Exhibitors were invited to set up displays on the afternoon of March 8 2019, and the first year nursing crew thought it would be a great opportunity to share some of the knowledge from their courses – DIGESTION! All of the local schools were bused in to tour around and participate. Our booth was especially busy as we featured a microscopic tour through the digestive system, a Pig Dissection demonstration, and a photobooth where participants could dress up in Nursing PPE and pose with stethoscopes and other nursing equipment. The learners designed and presented their booth on their own and did an exceptional job creating a memorable experience for the Science Fair participants and visitors. Well done Nursing learners and instructors that encouraged NAC’s participation.